News has broken that longtime Little Rock ad man Ron Robinson has died. His contributions to the advertising profession in Arkansas would be worthy of note in and of themselves. But Ron was much more than that. He was a collector — of stamps, of movie posters, of sheet music, of many things. If Arkansas was included in a piece of music or a film, Ron Robinson wanted it represented in his collection. The Central Arkansas Library System (CALS) houses and is in the process of cataloging Robinson’s vast collection of sheet music, film posters, and other memorabilia connecting those industries with Arkansas’s history and culture. The Ron Robinson Theater in the Arcade Building on the Library Square campus, the newest performance space in the River Market district bears Robinson’s name. Programming in the 325-seat multi-purpose event venue is designed for all ages and includes films, music performances, lectures, and children’s activities. 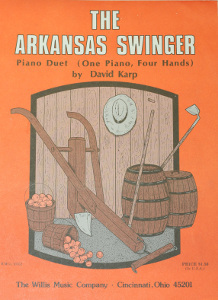 The Ron Robinson Collection includes a large number of pieces of sheet music of songs about Arkansas or with the state’s name in the song’s title, containing everything from Tin Pan Alley tunes describing the state to hits by Arkansas musicians such as Patsy Montana and the Browns to would-be state songs. The collection also includes a number of vintage recordings-including Edison disks of the “Arkansas Traveler”-and other materials depicting the state’s music. It will include Robinson’s huge collection of Arkansas-related movie posters, from which the Butler Center co-produced with him an exhibition last year called “Ark in the Dark,” as well as a vast number of pieces of Arkansas political memorabilia. A native of Little Rock, Robinson has been an avid collector of all things Arkansas for the past fifty years. He is past chairman and chief executive officer of Cranford Johnson Robinson Woods, a full-service advertising, marketing, and public relations firm. He has served on numerous boards and committees including the Friends of Central Arkansas Libraries (FOCAL), Arthritis Foundation, United Way, American Red Cross Public Information Committee, Arkansas Arts Center, and Arkansas Children’s Hospital. Today at noon in the CALS Darragh Center, “Arkansas Sounds Gone By” will be a special musical Legacies & Lunch program. It will showcase songs about Arkansas or written by people from the state, drawn from the Butler Center’s Ron Robinson Sheet Music Collection. Musical guests – including David Austin, Bob Boyd, Susan Gele, Dent Gitchel, Richard Hunter, Herb Rule, Stephanie Smittle, George West, and others – will perform songs from the famous fiddle tune “Arkansas Traveler” to Arkansas native Floyd Cramer’s big hit “Last Date.” Vocalists will be accompanied by piano and fiddle. Learn about the remarkable variety of songs from or about Arkansas, about the extraordinary music collection donated by Ron Robinson, and about the Tin Pan Alley songwriters who created songs about Arkansas without ever visiting the state. Legacies & Lunch, the Butler Center’s monthly lecture series, is free, open to the public, and supported in part by the Arkansas Humanities Council. 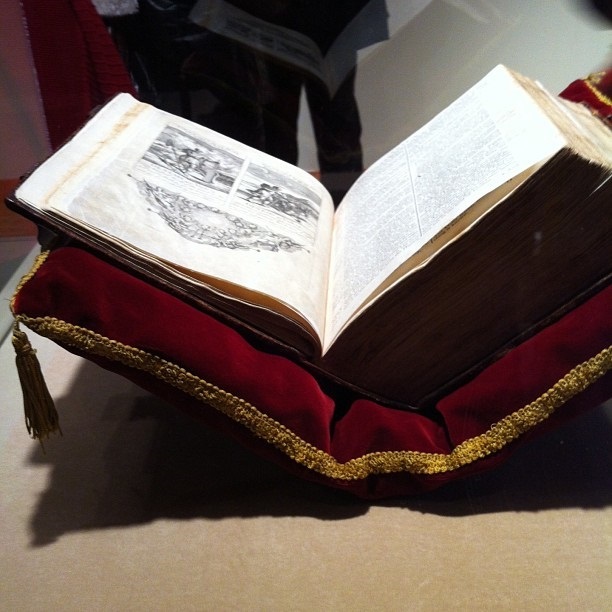 Programs are held from noon-1 p.m. on the first Wednesday of each month. Attendees are invited to bring a sack lunch; drinks and dessert are provided. For more information, contact 918-3033. 2014 was a busy year. Here are 14 cultural highlights. In no particular order. Except maybe once in while. Dr. Jane Chu visits Arkansas. Former Arkadelphia resident Dr. Jane Chu was appointed as the Chairman of the National Endowment for the Arts. 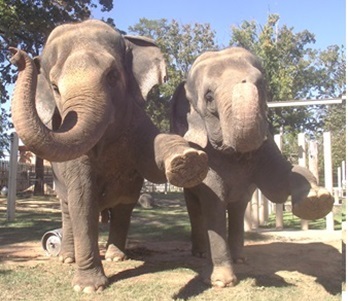 In October, she paid a visit to Little Rock and northwest Arkansas. While in the Rock, she participated in a discussion at the Arkansas Repertory Theatre and toured the new Creative Corridor spaces under construction for the Rep, Ballet Arkansas and Arkansas Symphony Orchestra. 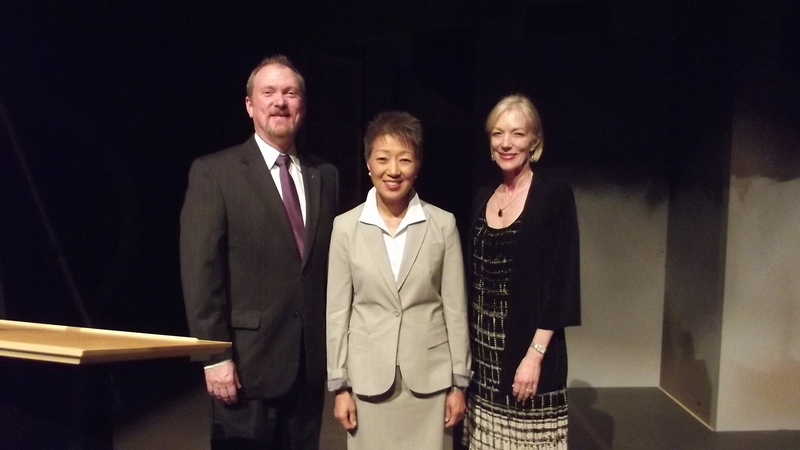 Dr. Chu was also the guest of honor at a reception hosted by the Arkansas Arts Council. While here, she had the chance to renew old friendships as well as make new ones. Carroll Cloar exhibit at Arkansas Arts Center. The Arkansas Arts Center featured the works of Arkansas native Carroll Cloar. Much as the Biblical prophet who is ignored in his homeland, Cloar has long been better recognized outside of his native state. The Cloar exhibit (which included a painting of future Little Rock mayor J. V. Satterfield playing football, a personal favorite of the LRCV) and the outreach by the AAC staff made great strides towards raising Arkansas’ consciousness about the works by the American treasure. Robinson Center Music Hall closes for renovation. Opening in February 1940 as the Joseph Taylor Robinson Memorial Auditorium, the City’s prime venue for performances and civic gatherings needed an external and internal facelift at 74. The building closed in July 2014 for a two year renovation which will see the reconfiguration of the performance and audience space in the music hall, the creation of a new special events venue overlooking the Arkansas River, and the restoration of this historic main lobby and front façade to 1940 appearance. During this closure tenants such as Ballet Arkansas, the Arkansas Symphony Orchestra and Celebrity Attractions have temporarily relocated to other venues including the Pulaski Academy Connor Performing Arts Center and the Maumelle Performing Arts Center. Ron Robinson Theater opens. Shortly before one Robinson closed, another opened. The Central Arkansas Library System’s new Ron Robinson Theater opened. This multi-purpose venue has quickly become home to lectures (by the library, the Clinton School and others), films (in partnership with Arkansas Times, Little Rock Film Festival and others) and music (including the Arkansas Sounds series). Named for famed Little Rock adman Ron Robinson, the public spaces pay tribute to his love of movies and music about Arkansas. As noted above, Arkansas Sounds has switched from a concentrated music festival to instead offering a variety of music styles and genres throughout the year at the new Ron Robinson Theatre. The music has ranged from Big Band to Klezmer to Country to Rock to Rap. This is only one of the new music offerings in Little Rock. South on Main completed its first full year of the weekly Local Live free music series sponsored by the Oxford American and Landers Fiat. South on Main also started a Jazz on Main series as well as increased their bookings of other musicians ranging from Rodney Block to Rodney Crowell. Meanwhile, The Undercroft completed its first full year of (mainly) acoustic music offerings at the corner of Capitol and Scott Streets. New sculptures were added to the Vogel-Schwartz Sculpture Garden and Riverfront Park as well as the Bernice Gardens. In what may be the first for any symphony in the US, the musicians of the Arkansas Symphony Orchestra commissioned a new piece in honor of the ASO board of directors. The work, composed by Christopher Theofanidis, was entitled The Wind and Petit Jean. It was well-received by audience and musicians alike. Ballet Arkansas sponsored a choreography competition “Visions” which featured five choreographers competing to be selected for a full-scale commission. The winner was Hilary Wolfley whose work will be seen at the spring Ballet Arkansas presentation. Finally, in conjunction with the 175th anniversary of Christ Episcopal Church (the oldest church in Little Rock to be at its original location), a new choral piece was commissioned. Daniel E. Gawthrop’s “Haste the Day” premiered on December 7. The Tonight Show with Kevin Delaney. 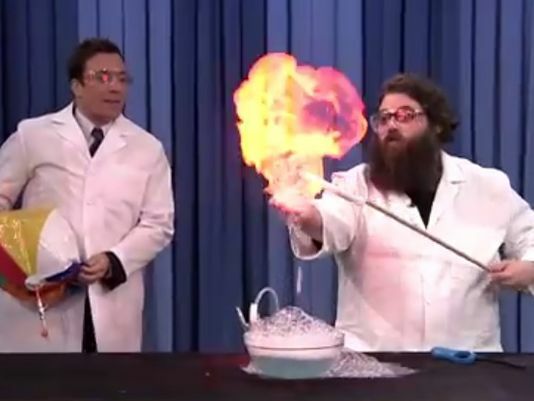 Because Jimmy Fallon is really just a big kid at heart, he wanted to include periodic “cool” science experiments when he took over the “Tonight Show.” After being contacted by a producer of Fallon’s show and an audition process, the Museum of Discovery’s Kevin Delaney was booked to appear. He debuted on May 5 performing experiment with Fallon and returned on November 7. When not a guest of NBC, Delaney performs the same types of “Awesome Science” experiments for tens of thousands of children and adults at the Museum of Discovery. New Festival of Arts. Acansa, a new multi-discplinary, multi-venue arts festival, debuted this year in September. Over a five day period, ACANSA Arts Festival brought together audiences and cultural resources to present unique and exciting visual and performing works which celebrate the unique influence of the south and champion excellence and innovation in artistry. There was theatre, dance, instrumental music, choral music, puppetry and visual art. Gridiron Returns. The talk of the return of the Star Wars movie franchise was not the only welcome news of returns. 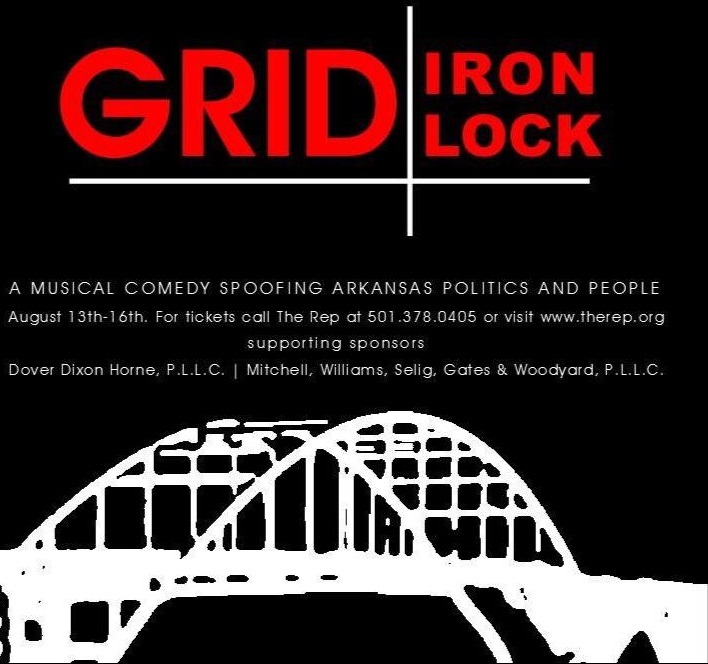 Gridiron, the biennial attorney fundraiser which spoofs politics, current events, sports and everything that is “sacred” to the general populace, returned after a hiatus. Once again this effort was under the watchful eye of producer Judge Mary McGowan, the creative leadership of Jana Beard, and the writing prowess of the anonymous committee. As has been the case in the past, many of the targets of the show good-naturedly showed up and laughed along in the audience. Sculptures Returned. Gridiron was not the only welcome return. Earlier this year several sculptures were stolen from the Vogel-Schwartz Sculpture Garden in Riverfront Park. After a media blitz about the theft, some people strolling through the park stumbled across a bag containing the missing sculptures. The pieces are in the process of being restored and will be reinstalled soon. Clinton Center turned 10. Proving that you can come home again, quite a few of the people who were present for the opening of the Clinton Presidential Center in 2004 showed up again in 2014 to take part in celebratory festivities. Among events included several lectures; a day of service benefiting the Arkansas Food Bank; a barbecue picnic; and a concert featuring Nick Jonas, Kool & the Gang and others which was hosted by Kevin Spacey. The Clinton School also celebrated 10 years of lectures and innovative programs. Preservation Concentration – The Quapaw Quarter Association marked the 50th Spring Tour this year. The event was co-chaired by First Lady Ginger Beebe and lifestyle expert P. Allen Smith. Later in the year, the QQA hosted its first Mid-Century architecture tour highlighting some of Little Rock’s buildings from this style. They ended the year with the news that they had purchased the William E. Woodruff House in east Little Rock. One of Little Rock’s oldest houses, it was built by the founder of the Arkansas Gazette. 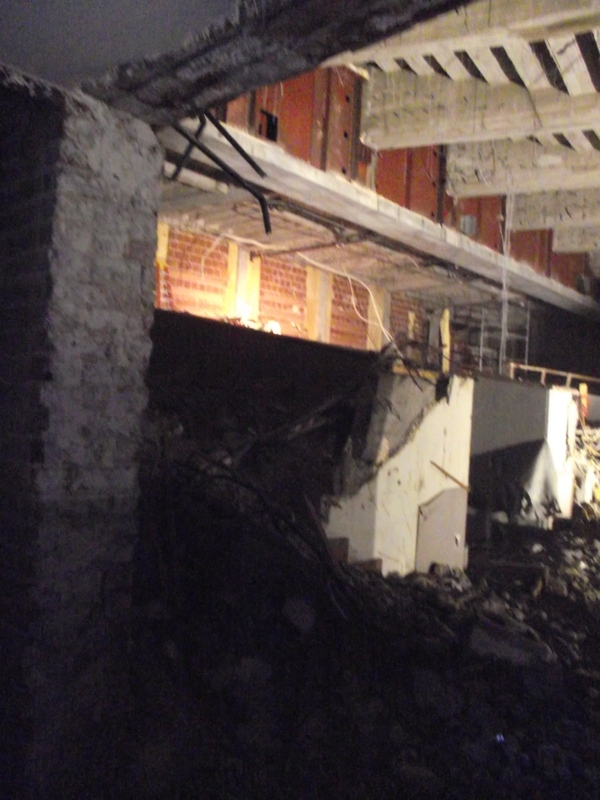 They will shore up the building to try to ensure no further decay as the building is readied for its next phase. 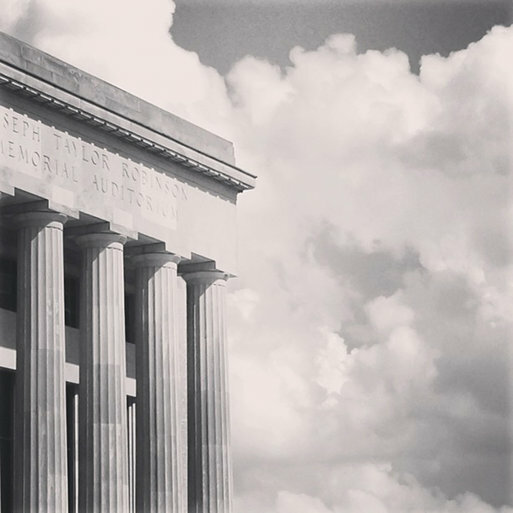 Reese Rowland, architect and principal at Polk Stanley Wilcox Architects of Little Rock, was named a fellow of the American Institute of Architects, awarded to fewer than 4 percent of AIA members. Little Rock native Will Trice earned his third Tony Award in three years, this time for producing All The Way, the Best Play of 2014. His previous Tonys were for Porgy and Bess (Musical Revival-2012) and Who’s Afraid of Virginia Woolf? (Play Revival-2013). Arkansas native and frequent Little Rock performer Al Green was one of the 2014 Kennedy Center Honorees. Little Rock’s Creative Corridor continued to rack up honors. The UA’s Community Design Center, which includes faculty and staff members from the school, won a 2014 Honor Award from the American Institute of Architects for its work on the Creative Corridor, on which it collaborated with Marlon Blackwell Architect of Fayetteville. The project also received the American Society of Landscape Architects Honor Award for Analysis and Planning. Sharon Priest, a longtime cultural advocate as a City Beautiful Commission member, Little Rock City Director, Little Rock Mayor and Arkansas Secretary of State announced her retirement after 12 years as Executive Director of the Downtown Little Rock Partnership. Over the past dozen years, she has continued her cultural advocacy. 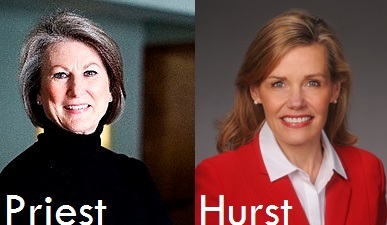 One of Priest’s successors as a member of the Little Rock City Board, Stacy Hurst, was named by Gov.-Elect Asa Hutchinson to be his choice to lead the Department of Arkansas Heritage. She will oversee seven agencies including three Little Rock museums: Mosaic Templars Cultural Center, Old State House Museum and Historic Arkansas Museum. Following the closure of Starving Artists Cafe, the weekly Tales from the South program (which originated from there) had to scramble to find a place. After several weeks of a completely nomadic existence, it is now settling into a rotating list of locations. The Arkansas Arts Center’s Best Impressions restaurant has been designated a “permanent” site for the first Tuesday of each month. The free outdoor Movies in the Park celebrated its 10th season this year. Founders Blake Rutherford, Heather Allmendinger and Ben Beaumont were honored at the start of the season. A few weeks into the season, the series screened the film Frozen and set a new record for attendance by logging over 7,000 attendees. After the closure of the Riverdale cinema in 2013, the space sat vacant. In June 2014, Matt Smith moved the Market Street Cinema operations into the Riverdale space. He upgraded the equipment at Riverdale (which was also a vast improvement over the equipment at Market Street). The new Riverdale 10 shows a mix of first-run blockbusters as well as the independent films for which Market Street had been beloved. The Studio Theatre was launched adjacent to the new Lobby Bar in downtown Little Rock. In addition to producing its own performances, it is also the new home of the Community Theatre of Little Rock and Precipice Theatre. Weekend Theatre founder Ralph Hyman retired as the Artistic Director of that group. He will continue to direct productions from time to time. Last week the Central Arkansas Library System announced that the new theater in the Arcade Building would be named in honor of Ron Robinson. If Arkansas was included in a piece of music or a film, Ron Robinson wanted it represented in his collection. The Central Arkansas Library System (CALS) will house and begin to catalog Robinson’s vast collection of sheet music, film posters, and other memorabilia connecting those industries with Arkansas’s history and culture. 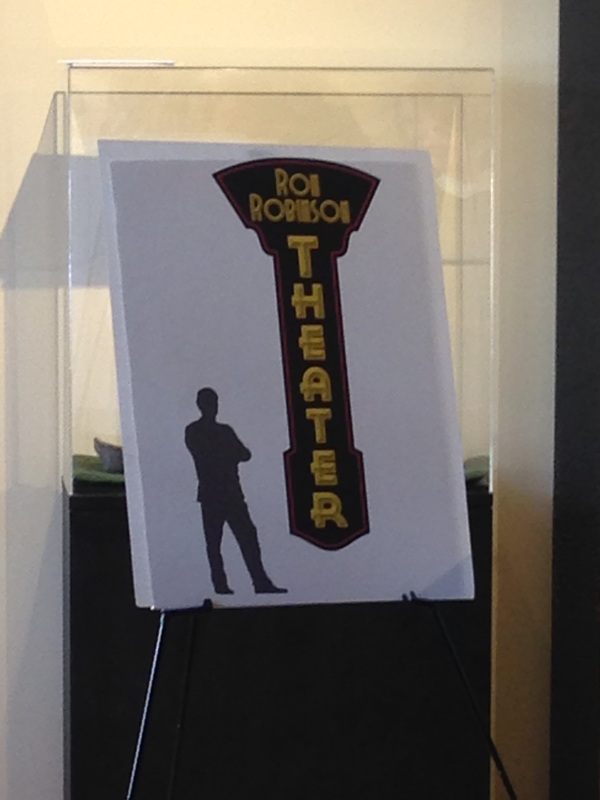 The Ron Robinson Theater in the Arcade Building on the Main Library campus, the newest performance space in the River Market district will bear Robinson’s name. Programming in the 325-seat multi-purpose event venue will be designed for all ages and will include films, music performances, plays, readings, lectures, speakers, and children’s activities. Equipped with a state-of-the-art projection system for films and a separate sound system for spoken word and music, the theater will receive the highest rating from the Digital Cinema Institute. A native of Little Rock, Robinson has been an avid collector of all things Arkansas for the past fifty years. He is past chairman and chief executive officer of Cranford Johnson Robinson Woods, a full-service advertising, marketing, and public relations firm. He has served on numerous boards and committees including the Friends of Central Arkansas Libraries (FOCAL), Arthritis Foundation, United Way,American Red Cross Public Information Committee, Arkansas Arts Center, and Arkansas Children’s Hospital. Other organizations using the theater space include the Clinton School for Public Service and the Little Rock Film Festival. As with other CALS meeting space, the theater may be used by the public, based on availability. Little Rock voters approved a bond issue in 2012 that provided funding for the Arcade Building. Through a public-private partnership between CALS, Clinton-Commerce LLC (which includes Moses Tucker Real Estate), and Monroe Cache, retail stores, offices, and a restaurant will fill the Arcade Building, a three-story, 60,000 square foot structure.